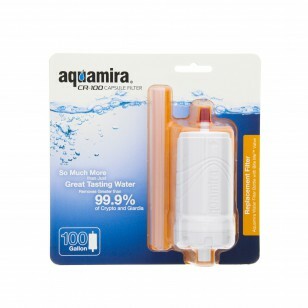 Designed for use with Aquamira filtered water bottles that feature the Bite Me valve, the 67011 / CR-100 Aquamira replacement capsule ensures you continue to reduce up to 99.9% of Cryptosporidium, Giardia and dirt from your water. 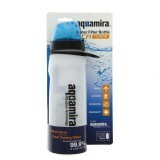 Lasts for up to 100 gallons of usage, based on the existing quality of the water being filtered. Also ensures your drinking water tastes great! Order the replacement 67011 / CR-100 Aquamira filtered water bottle capsule you need today! 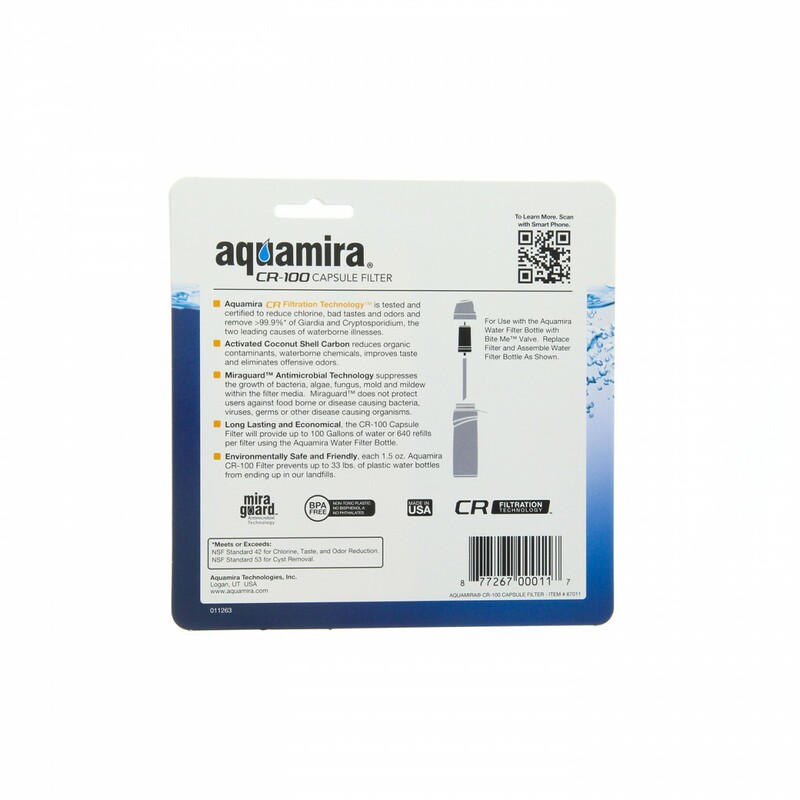 Helps improve the taste of the drinking water being filtered, from nearly any source! 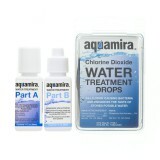 The AQUAMIRA-67011-CR-100 does not reduce fluoride.